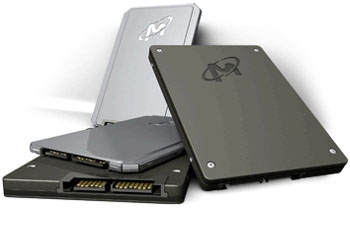 Digital Home Thoughts: SSDs Getting Twice The Punch! SSDs Getting Twice The Punch! "Intel and Micron plan to further shrink NAND circuitry, doubling the density of their flash chips and further reducing the cost of solid state drive (SSD) storage. IM Flash Technologies (IMFT), Intel and Micron's joint venture, released 25 nanometer (nm) circuitry a little over a year ago. In the next few weeks, IMFT plans to annouce 20nm NAND flash chip production." Behind all that technical jargon, you should find one very important bit of information: SSDs are going to get cheaper! Well, I hope they will at least. They could always just double the capacity and maintain the same price, still keeping SSDs out of complate mainstream acceptance. Also, if their claims are to be believed, the shrinking of manufacturers for SSDs at this scale could mean higher prices. Only time will tell.